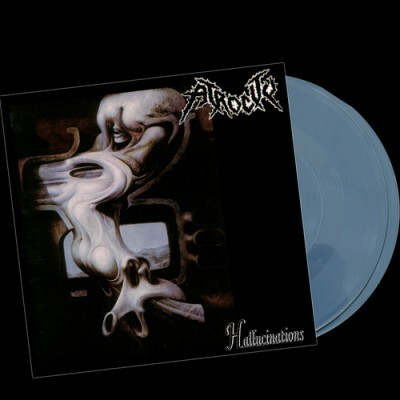 Atrocity – Official Website » “HALLUCINATIONS” LTD GREY-BLUE VINYL DOUBLE LP AT NAPALM RECORDS !!! “HALLUCINATIONS” LTD GREY-BLUE VINYL DOUBLE LP AT NAPALM RECORDS !!! ATROCITY “HALLUCINATIONS” LTD GREY-BLUE VINYL DOUBLE LP AT NAPALM RECORDS !!! Strictly Limited to 150 Gatefold Copies in GREY-BLUE 180g Vinyl. Re-Release incl. Blue Blood EP 1989, The Hunt Mini Album 1996 and 4 Tracks Live in Barcelona 1992 as Bonus! Click on the image to order!! !